How one longtime builder is shaping the last new residential community in Niagara Falls. 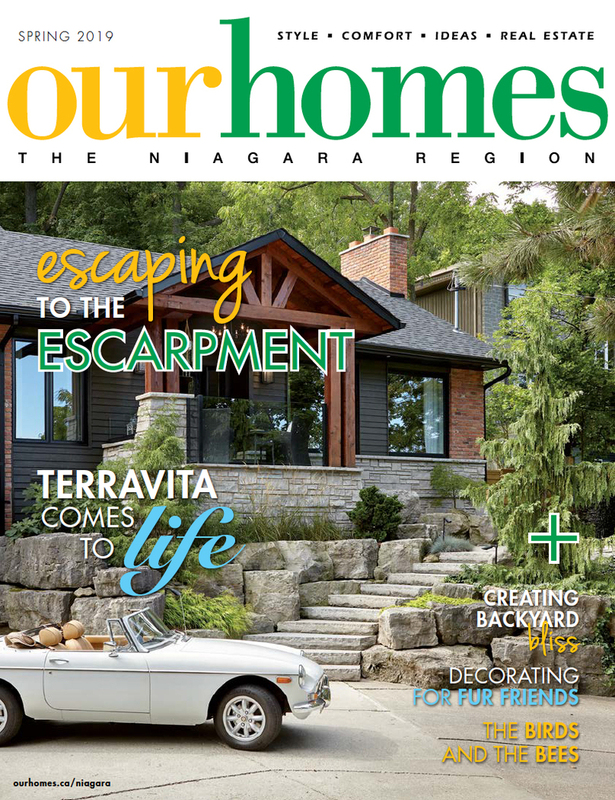 A version of this article originally appeared in the Spring 2019 issue of OUR HOMES The Niagara Region, p.26. Find local businesses in our Niagara directory. 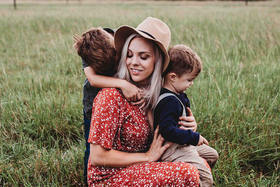 Kenmore Homes is set to have a lasting impact in north Niagara Falls as they shape the city’s last swath earmarked for residential development into Terravita, a community of 80 single-family bungalows, bungalofts, and two-storey homes. 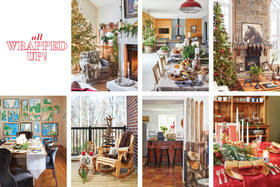 “Every model we’re doing has something in it that has a wow factor,” co-owner and president Jennifer Kaufman explains. 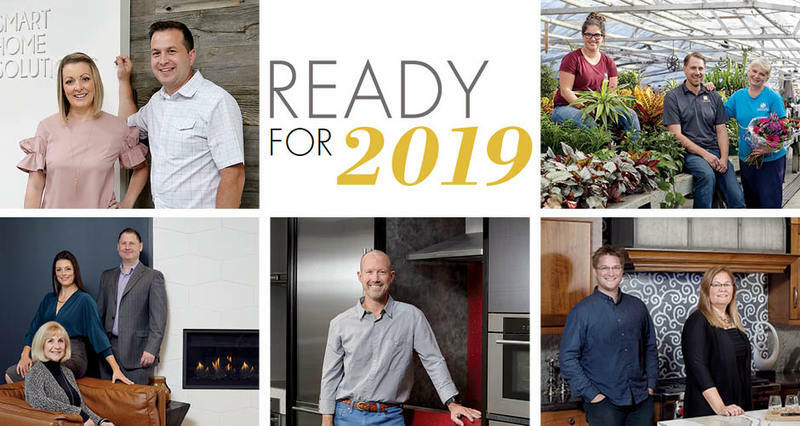 The new neighbourhood, tucked off Mountain Road near St. Paul Avenue, will feature 10 home plans by ACK Architects ranging in size from 1,699 to 2,890 square feet on 39- and 45-foot lots. 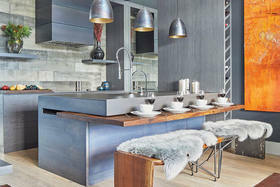 Each layout is adjustable to future homebuyers’ needs. The facades will be unique – this is not your cookie-cutter subdivision – with different elevations and exterior colour combinations but with a similar feel. 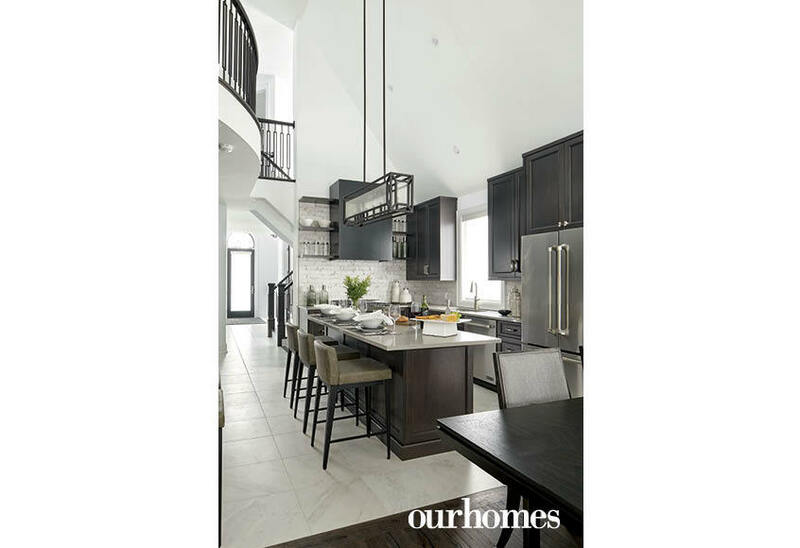 This particular Terravita bungaloft models offers just over 2,000 square feet of living space. 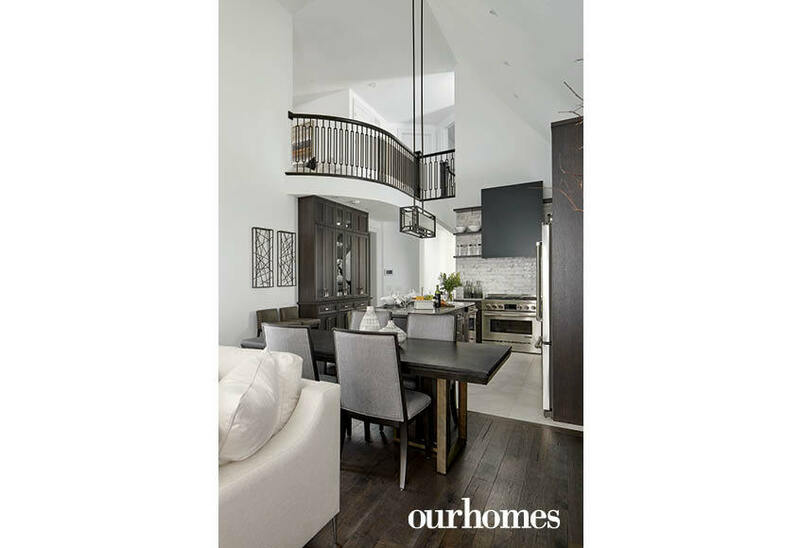 It has an open and grand entryway with cathedral ceilings and stretches past a two-piece powder room, and wide, quarter-turn staircase in enduring white oak with Euro spindle by Amber Stairs & Railings Inc. 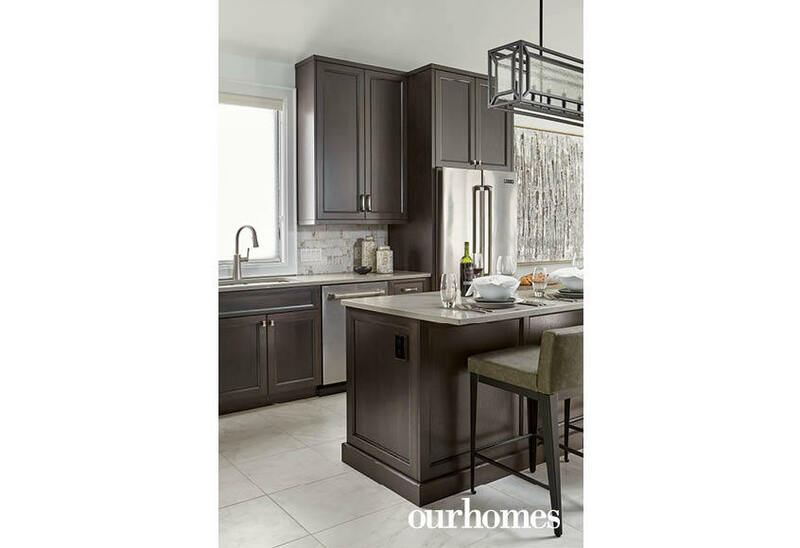 The front hall ultimately leads into a galley-style kitchen with a built-in china cabinet to match functional kitchen cupboards and open shelving by Oakridge Woodworking. The space spills into an open-concept living and dining area with Dashwood Gemini casement windows from Crowland Sash & Frame. A Marquis Solace Cleanview fireplace surrounded by porcelain tile with a soapstone look from Alfieri Floor Experts is the centrepiece. Heating and cooling systems by A-Plus Air Systems ensure the space is always the right temperature. Underfoot are Glenbury hardwood floors that stretch into a main-floor master bedroom, where oversize, double solid-core doors offer safety and soundproofing. 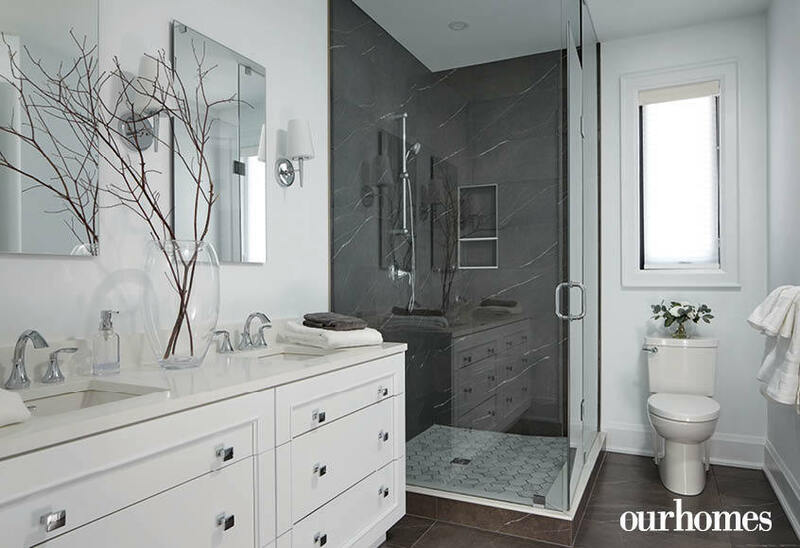 The master en suite features a standalone tub, oversized shower with rolling glass door, and a double, custom vanity by Oakridge. The bedroom’s distinct and seductive separation from the rest of the home is accentuated by walls in bold Black Jack from Benjamin Moore’s Regal line. 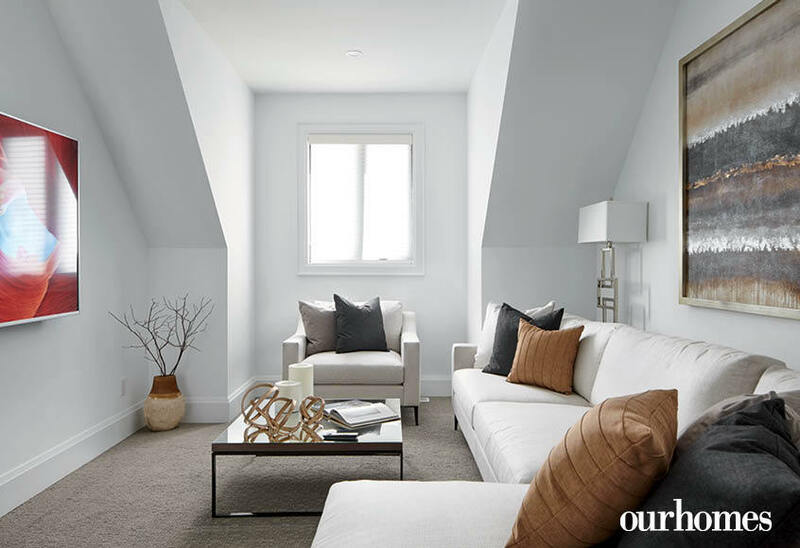 The space is kept bright by a mix of natural light and sparkling fixtures from City Lightz. All homes in Terravita will be finished to the lower level with timbers from Stark Lumber, but even that will be left “finish-ready,” Jennifer notes. 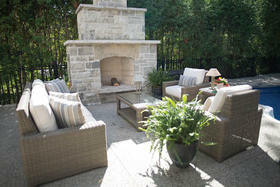 Outside, landscaping is by Tree Amigos Landscaping Inc. and includes irrigation to keep gardens and greenery lush. 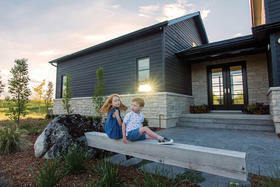 The exterior of the home boasts timeless curb appeal with grey Permacon Lafitt Stone from Burnstein Brick, a peaked roofline and a stately oversize front door. Privacy is ensured with blinds from Interiors by Better Shade that block the view from the street and diffuse bright light, but keep things airy. 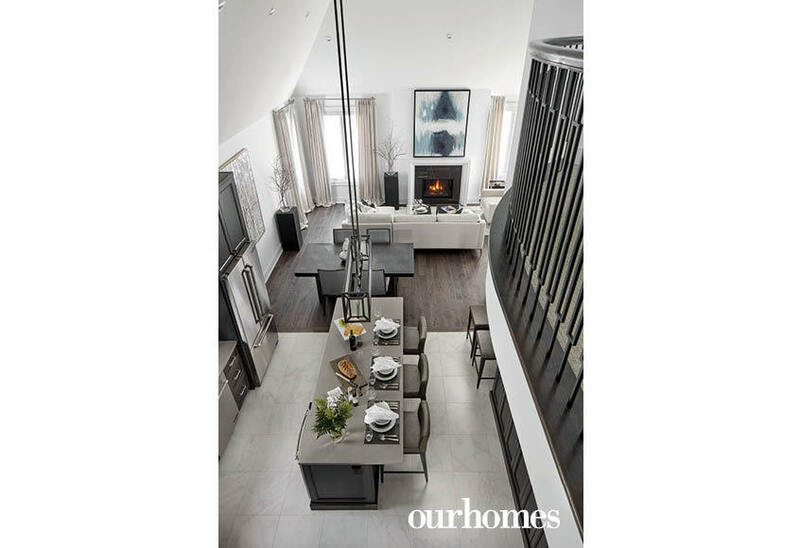 An open-concept layout that highlights cathedral ceilings and a rounded loft creates visual elegance. Jennifer Kaufman, co-owner and president of Kenmore Homes, stands in the kitchen of a bungaloft model in the new Terravita subdivision in Niagara Falls. 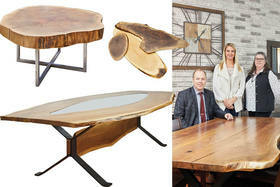 Space for a dining table provides an option for more formal entertaining. Stainless steel appliances are standard in every Terravita home. 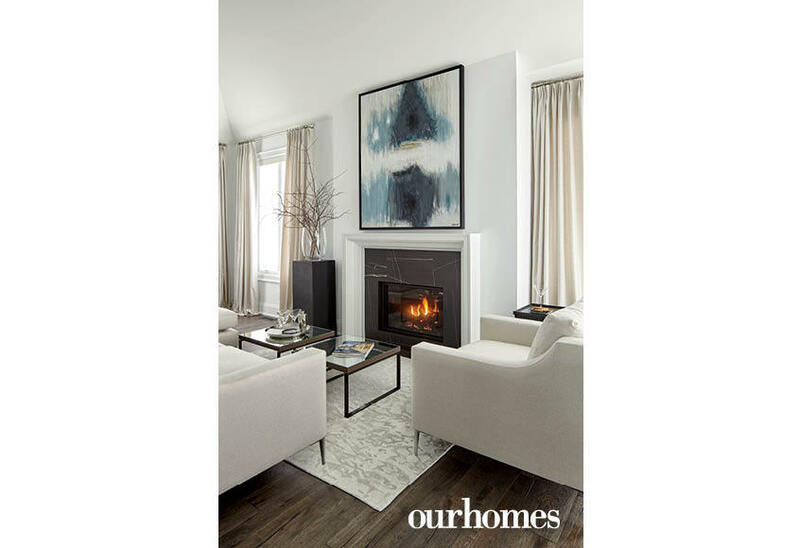 High ceilings create drama, openness and enough room for large, eye-catching artwork to hang over the fireplace. The living room features a cosy fireplace and view to the master bedroom. 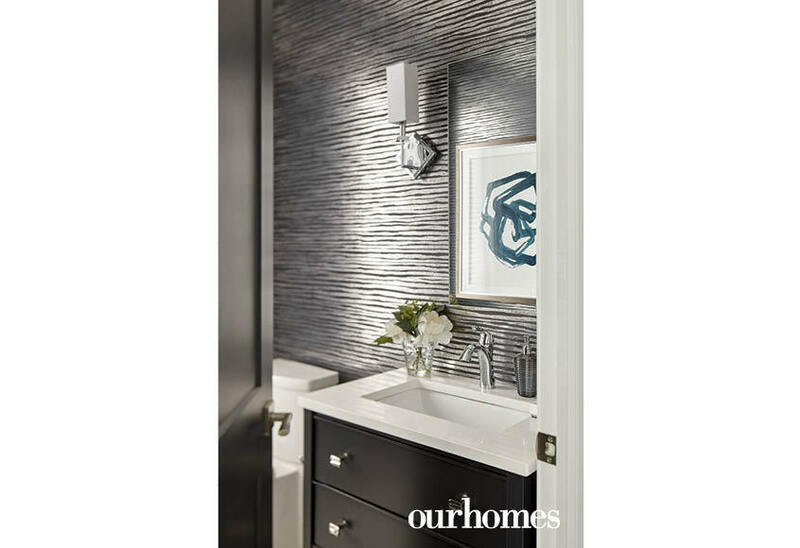 The powder room has a space-enhancing metallic wallpaper. 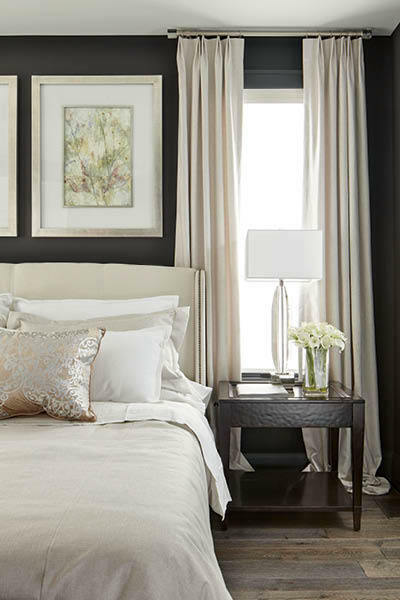 The master bedroom in dramatic Black Jack from Benjamin Moore. Large art, mirrors and white draperies soften the darkness of the walls. The master en suite has all the trimmings, including a freestanding bath and double-sink vanity. 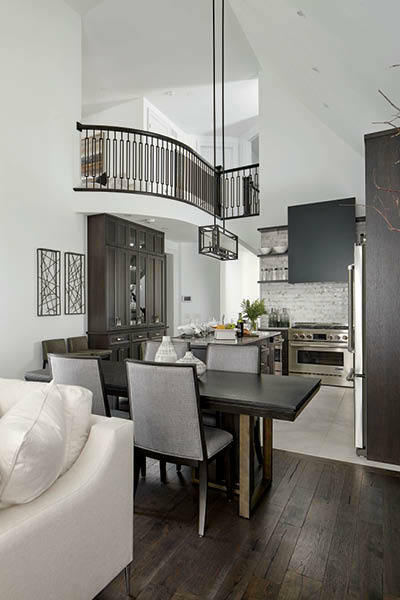 The loft offers a view to the kitchen and living room. The loft area could be reserved for relaxing or used as an inspiring workspace. 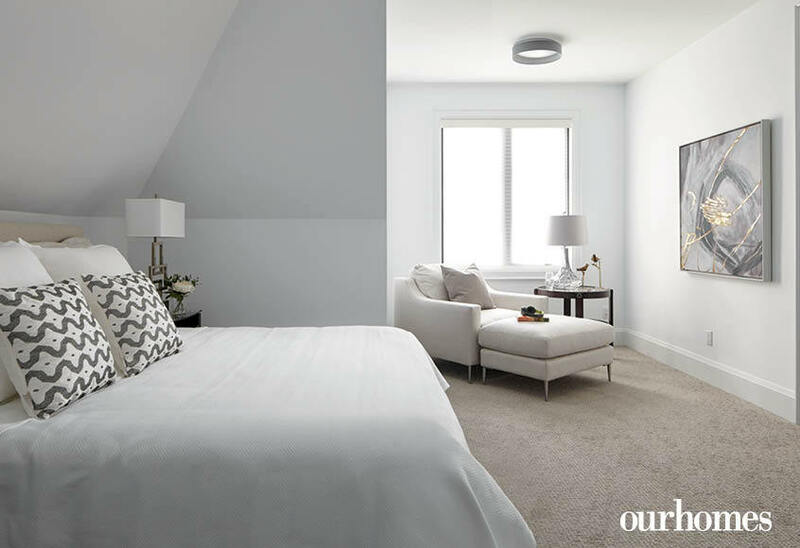 The upstairs bedroom could serve as either the master bedroom or a guest room. The loft bathroom is spacious and functional. 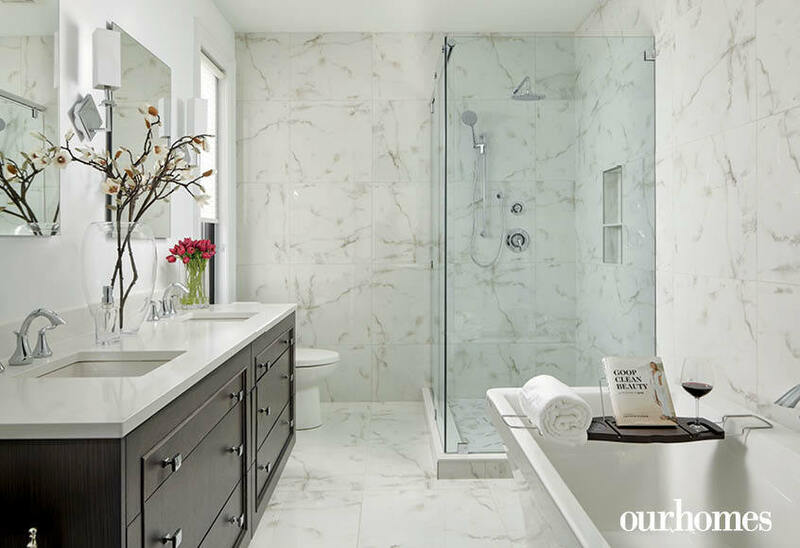 Dark tile on the floor and in the shower contrasts with the bright white vanity.